Mr. Hashian later played for Ernie and the Automatics. Those three beats fall not quite two and half minutes into a song that stretches for more than seven and a half minutes on the band’s self-titled first album, which sold some 17 million copies in the United States alone, becoming one of the most successful debuts in history. That brief indelible passage for Mr. Hashian – who was just as unforgettable visually in those days because of his expansive Afro – was also a memorable moment for the classic rock genre. 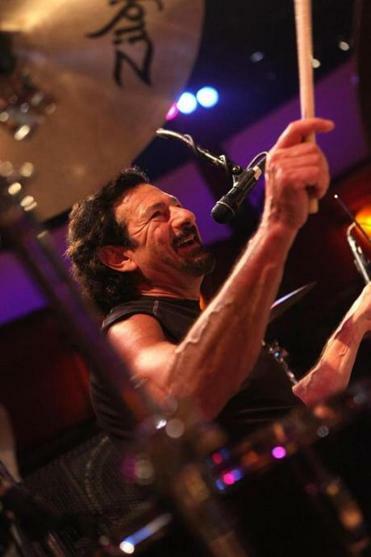 Mr. Hashian, who went from playing in North Shore bands to touring the world while drumming for Boston’s first two albums, collapsed and died Wednesday night as he performed on the Legends of Rock Caribbean cruise. He was 67 and lived in Lynnfield. In a statement issued Thursday, Mr. Hashian’s wife of 38 years, Suzanne, announced his death “with deep and profound sadness,” and said he died at 11 p.m. while performing on the cruise. She added that funeral and service arrangements will be announced. Also on the cruise was Barry Goudreau, a guitarist who was part of Boston’s debut album lineup with Mr. Hashian. The two had played in bands together as teenagers and through music they met their future Boston bandmates: guitarist and songwriter Tom Scholz, bassist Fran Sheehan, and singer Brad Delp, who took his life in March 2007. According to the Legends of Rock website, the cruise departed from Miami Saturday. The ship stopped in St. Maarten Tuesday, in Puerto Rico Wednesday, and was scheduled to be at sea en route to the Bahamas Wednesday night when Mr. Hashian died. The ship is due to arrive in Nassau at noon Friday. John Thomas Hashian was born Aug. 17, 1949, according to funeral information posted on legacy.com. He grew up on the North Shore and for a time played with Sheehan in a lounge act. 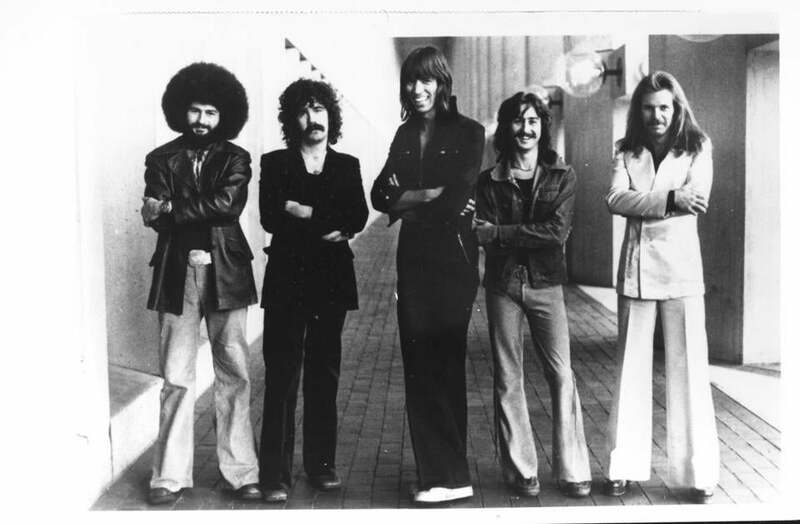 Members of the band "Boston," from left, Sib Hashian, Brad Delp, Tom Scholz, Barry Goudreau, and Fran Sheehan i n 1977. Eventually, the five band members – Delp, Goudreau, Scholz, Sheehan, and Mr. Hashian – came together for a debut album whose sales success they would never match. Before parting ways with Boston, Mr. Hashian played on the band’s second album, “Don’t Look Back,” which was released in 1978 and sold several million copies. He also played on Goudreau’s self-titled 1980 album, to which Delp contributed vocals. “I started playing with Sib back in Lynn English High School, and he’s one of the only drummers I’ve worked with,” Goudreau told the Globe in 1980, explaining why he turned to his Boston bandmates while preparing a solo outing. The members of Ernie and the Automatics included Boch, Goudreau, and Michael “Tunes” Antunes of John Cafferty & the Beaver Brown Band. The band performed in venues that ranged from “tiny little bars that you could barely fit a drum set in to massive stages,” Boch recalled, and Mr. Hashian was always a cheerful presence. In addition to his wife and son, Mr. Hashian’s survivors include his daughters Aja and Lauren, who has a daughter with actor Dwayne “The Rock” Johnson. In a late-1970s profile of Boston for Rolling Stone magazine, writer and film director Cameron Crowe captured Mr. Hashian in unguarded moments that included racking up some 28,000 points on a pinball machine. “It’s all about the extra ball, my friend,” he told Crowe. Mr. Hashian also joked about what it’s like to go from playing in North Shore bands to performing worldwide. Marquard can be reached at bryan.marquard@globe.com.